Ginger tea removes fatigue. Ginger increase the taste of food. There are several benefits of ginger however, there are some side effects. Ginger is hot therefore, it is used in winter. Weight: Ginger is hot. It is used to smelting the fat. This leads to faster weight loss. The regular consumption of ginger reduces appetite. Therefore, thin people should avoid having it. Blood Disorder: Blood disorder patient should avoid having ginger. Ginger dilute the blood. Therefore, minor cut or injury can excess bleeding. Ginger is beneficial for blood clot patient. Heart: The more consumption of ginger effect on heart. It impact on heartbeat. The blood pressure remains up-down. Sleep: The more consumption of ginger increase sleep problem. One should avoid ginger tea at night. Gallbladder Stone: Ginger increase bile production. Therefore, it has adverse impact on gallstone. The stone might increase. Pregnancy: The consumption of ginger is beneficial during the starting of the pregnancy. It avoids morning sickness and weakness. However, avoid having ginger during last quarter months as it might create premature delivery. Medicine: Diabetes and high blood pressure patient should avoid having ginger. It contains beta-blockers, anti-coagulates and insulin creates harmful mixture. Acidity: Ginger is used to calm the stomach disorders, including nausea. 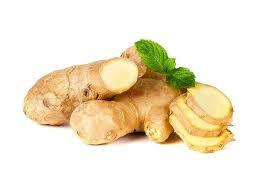 But excess intake of ginger can cause gastrointestinal disease such as heartburn and diarrhea. Ginger tea increases the level of acid in the stomach, due to which the production of acid increase in the human body, which causes acidity.